How to create "iSell" template? Screen 1: Some of the images in the screen we have created. You should upload your images that you have created for the different experiences. For the sake of the article, you can access our gallery and choose the images that relate to this experience in order for you to become acclimated to the platform. We changed the icon image from the original template. 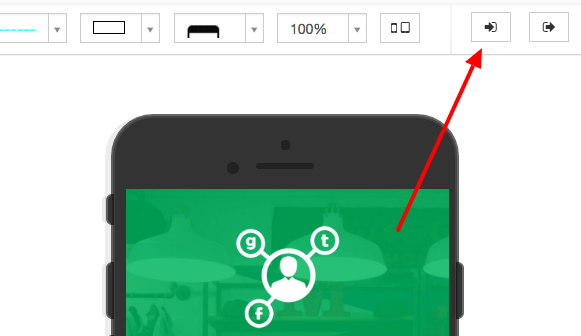 Another element that we added is an &apos;Icon ,&apos; icon. 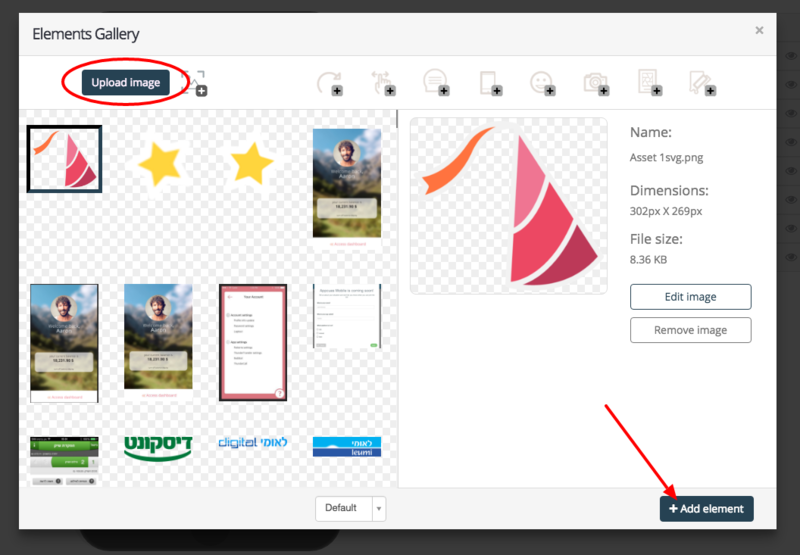 To upload images from our gallery first click on the &apos;Image Element&apos; located on the left side of the dashboard. 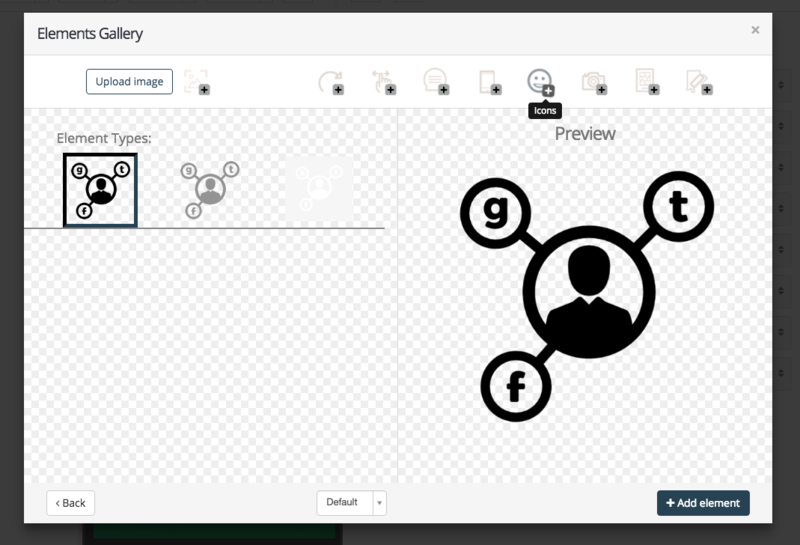 Then hover over the &apos;Icons&apos; and choose the image that you want to add to your screen. 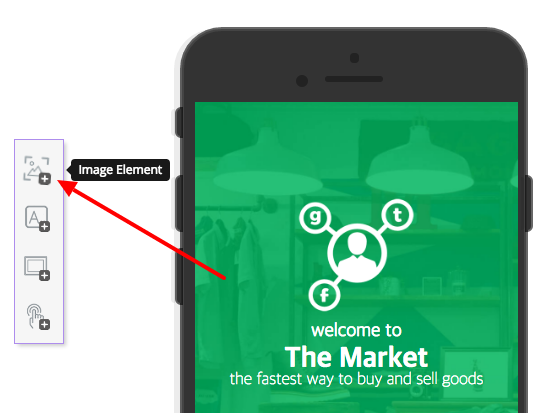 Each text is a separate element: the three elements are welcome to, the market, and the fastest. 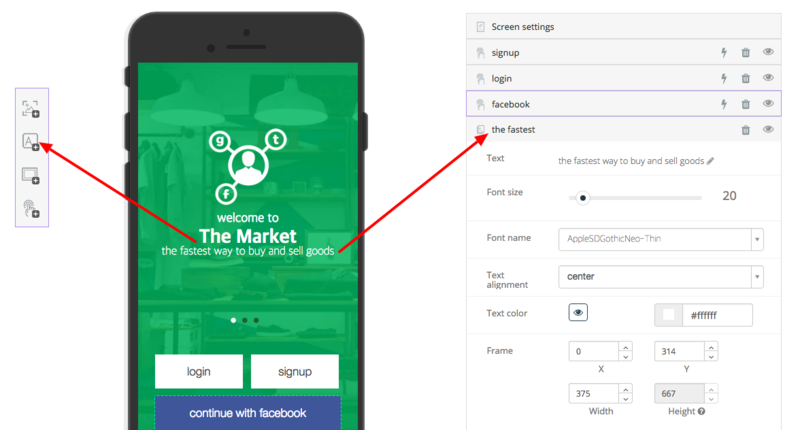 We also added three different &apos;Call-To-Action Element ,&apos; facebook, login, and signup. We placed the facebook button at the very bottom of the screen. 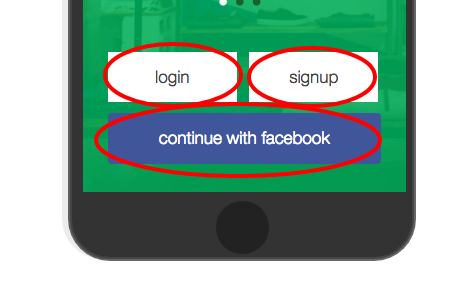 The login and signup was placed on top of the facebook button. We created the login and signup button to look exactly the same. 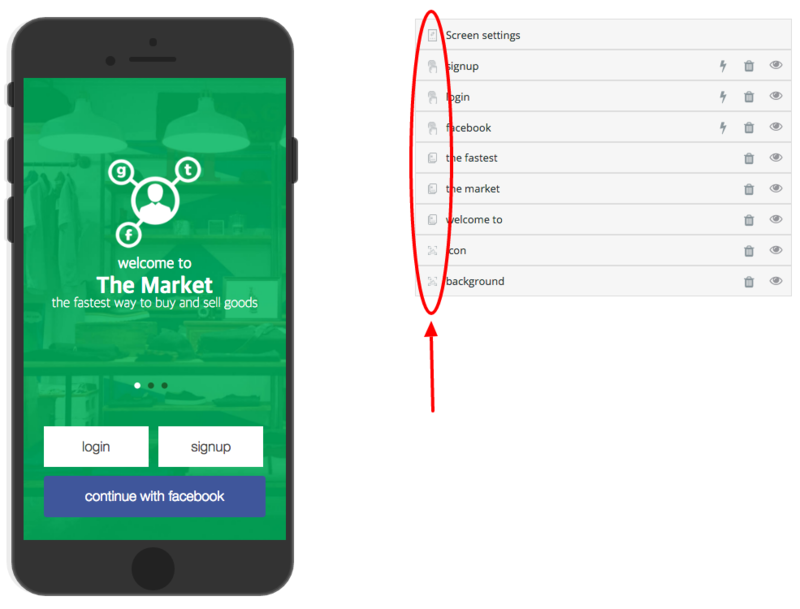 We moved the screen settings to be placed above the login and signup buttons. Screen 2: We wanted the second screen to look similar to the first screen, with a few differences. Hopefully you are more familiar with our studio that the next screen will be easier to create. All the &apos;Call-To-Action&apos; buttons have not been changed. The icon image has not changed as well. Screen 3: Is an exact replica of screen 2. 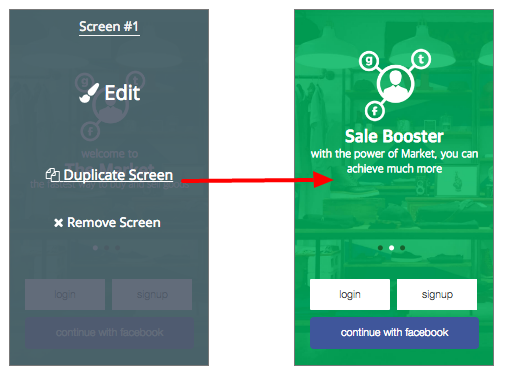 All you will need to do is duplicate screen 2. Transitions: When you are finished with all your screens, begin to set the transitions, the flow between the screens. You will find these buttons, &apos;Transition Inbound&apos; and &apos;Transition Outbound ,&apos; on the top of the screen. By clicking on one of these buttons, you will navigate to our transitions studio&apos;s platform. The transitions for this experience are very simple. Note: A lot of these transitions can be applied to the screens in the experience. The original video has a different icon image than the template that we created. Make sure to reorder the elements that all will be under &apos;Inbound&apos; and the other elements will be in &apos;Outbound.&apos; Here is how to transition each element. Note: Besides the transitions between screens, you have to set the &apos;Screen #1 Inbound&apos; and &apos;Screen #X Outbound&apos; (X=last screen), in our case &apos;Screen #3 Outbound&apos;. In most cases, you just want to make sure that the main background elements, will be set as &apos;Move In&apos; & &apos;Stays in position&apos; | &apos;Move Out&apos; & &apos;Stays in position&apos; accordingly, but in this specific case we set these as &apos;Move In&apos; & &apos;Move with screen&apos; | &apos;Move Out&apos; & &apos;Move with screen&apos;. When you are in &apos;Transition Inbound&apos; from screen two, you will see both screen 1 and screen 2. Here is where you will choose the flow from one screen to the next. Every element is labeled for you as either inbound or outbound.